Go beyond apple-themed events to show teachers how much they are valued and appreciated! 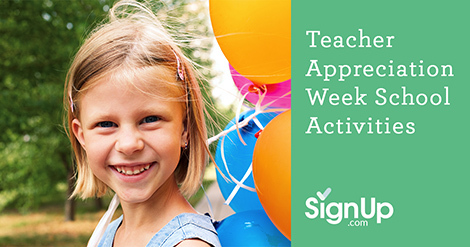 Recent surveys have shown that while teachers love to be acknowledged during Teacher Appreciation Week, they are most appreciative of thoughtful gifts personalized to them. 1. Coordinate with other parents to give a teacher gift with a real impact. Rather than individually giving a multitude of gifts cards, combine forces with classroom parents to give the teacher one big gift. (You can collect money for group gifts anonymously on SignUp.com so that there is no stigma attached to those who have more financial constraints than others. Parents can quickly make a contribution of their choosing from their smartphones or computers with a few clicks.) Use funds to pay for a needed piece of classroom furniture, a donation to the teacher’s favorite charity, a long-desired museum or zoo membership, a full spa day or massage. Let SignUp.com be your central place for coordinating all of the tasks associated with purchasing, picking up, delivery and assembling the item. Then have each student sign an oversized card with an explanation of the gift. 2. Think rest, rejuvenation, recharging! Arrange for a few massage therapists to come in for chair massages, or foot reflexologists to give foot massages. Have a yoga teacher come to teach a gentle yoga class or give gift certificates from a local yoga studio for one free class. Remember to arrange for a parent volunteer or aid to cover the classroom for your teacher so he or she can enjoy the relaxation session worry-free! 4. Create an “All About the Teacher” Book written by students. Compile a list of questions to ask students about their teacher, and then email them to parent participants. Ask questions such as: What is the silliest thing [teacher name] has done this year? What is your favorite memory from class this year? How would you describe your teacher? What is the kindest thing your teacher has done for you this year? Parents can interview their children and then send the answers back to a central organizer. 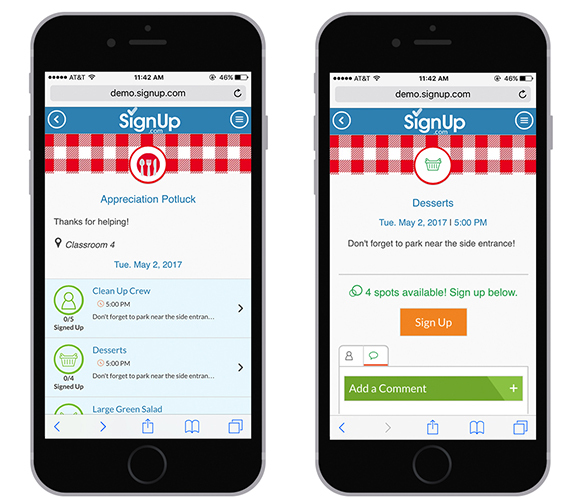 (Use SignUp.com to invite crafty parent helpers to assist.) Compile the quotes into a scrapbook and then have the kids decorate it with doodles and drawings. Regardless of how you celebrate your teachers this year, they are sure to feel the love with any gift that is thoughtful and personalized!